INTRODUCTION: Jarvis Memorial United Methodist Church (JMUMC) and St. James UMC are concerned about the safety of all children and youth. 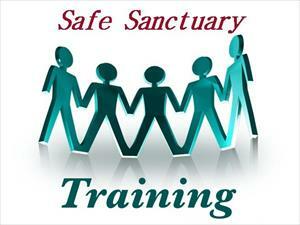 This church is committed to being a “Safe Sanctuary” for each of God's children. As a part of the Body of Christ, we seek to ensure caring Christ-like role models for all ministries directly and indirectly associated with our church. Ministries under the auspices of and/or endorsed by JMUMC should comply with or exceed the standards and recommendations for best practices for safety and programming guidelines as outlined in this Safe Sanctuary Policy. Each ministry area will develop procedures that reflect these best practices and that will be reviewed at least annually by a Safe Sanctuary Procedures Review Committee.